SELBYVILLE, Del. (WPVI) -- A mother and son are accused of stealing from other people's cars in Delaware. 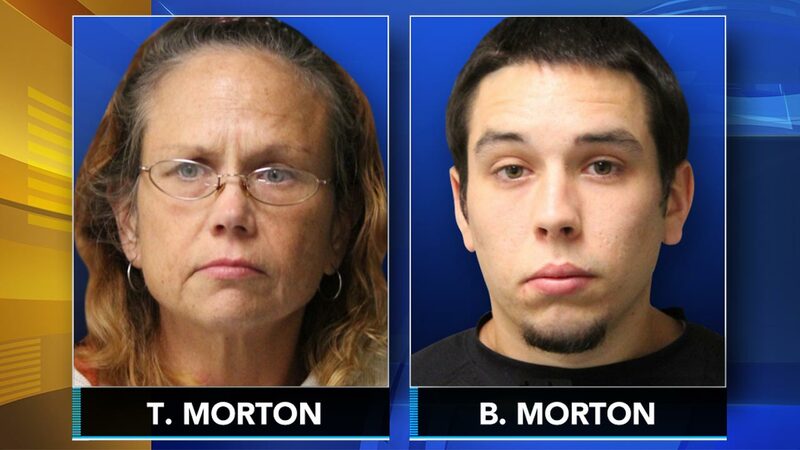 State police arrested 51-year-old Teresa Morton and her 24-year-old son Bradley on Monday. The duo from Bishopville, Maryland allegedly broke into vehicles in various Delaware communities, including Selbyville, Ocean View and Millville. Police say they were arrested after Bradley was spotted rummaging through cars in Selbyville. When a witness spotted him, he got into his car and took off, investigators say. He was pulled over by police a short time later. His mother was found walking in the area and arrested as well. Both are now behind bars and facing charges of burglary, theft and other counts.